I seem to have missed making a resolution last year, but the year before I set myself one New Year’s Resolution, which was to actually do the things I put on my to do list. Two years later and that has become something that I do almost automatically. Learn to drive – Not being able to drive is becoming a problem for me. It limits my ability to get about, it means a very long walk each day for the school run, and it leaves me stuck in the house a lot of the time. It also leaves my other half to get groceries and drive me places when he has other things he needs to be doing instead. It’s time to sort that out. 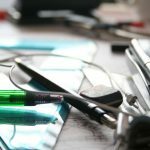 Finish my course – I started a home study back in summer, and because of a series of overlapping problems and difficulties, I put off getting started. I have now made a decent start, I want to make sure that it is finished in good time. Apply for university – The home study course is a prerequisite for the degree I want to do, and I have promised myself that by the end of the year I will have at least submitted my application for the degree program. It’s going to be a good year. Getting those things done will lead to great new things becoming available for me in my future, and I’m excited about where they may lead me.